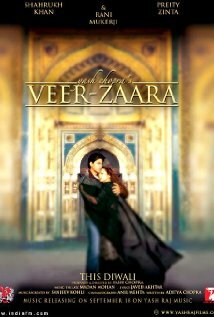 Three other movies were also added today: Veer-Zaara, Dhoom, and Mohabbatein. Netflix’s entire Bollywood catalog can be found here. In other streaming video news, Goliyon Ki Raasleela Ram-Leela was recently added to Eros Now. This entry was posted in Streaming Video and tagged Band Baaja Baaraat, Bollywood, Chak De India, Dhoom, Dhoom 2, Dilwale Dulhania Le Jayenge, Dostana, Eros Now, Goliyon Ki Raasleela Ram-Leela, Hindi, Indian, Mere Brother Ki Dulhan, Mohabbatein, Movie, Netflix, Rab Ne Bana Di Jodi, Rocket Singh, Streaming Video, Veer-Zaara on March 19, 2014 by Kathy. Ajay Devgn and Sanjay Dutt star as con artists in the action-comedy Rascals, opening on October 7, 2011. Rascals opens on Friday in three Chicago area theaters: Big Cinemas Golf Glen 5 in Niles, AMC South Barrington 30 in South Barrington and Regal Cantera Stadium 17 in Warrenville. Last weekend’s new release, Force, carries over at all three of the above theaters. The South Barrington 30 is also holding over Mausam and Mere Brother Ki Dulhan. Saheb Biwi Aur Gangster departs the Golf Glen 5 on Thursday after posting opening weekend earnings of a mere $9,548 from the nine U.S. theaters that carried it. Other Indian movies showing at the Golf Glen 5 this weekend include Dookudu (Telugu), Ulagam Sutrum Vaaliban (Malayalam) and Oosaravelli (Telugu, but the theater lists its language as English). This entry was posted in Weekly Theater Updates and tagged 2011, Ajay Devgan, Ajay Devgn, AMC South Barrington 30, Big Cinemas Golf Glen 5, Bollywood, Chicago, Dookudu, Earnings, Force, Friday, Hindi, Indian, Malayalam, Mausam, Mere Brother Ki Dulhan, Movie, Niles, October 7, Oosaravelli, Rascals, Regal Cantera Stadium 17, Sahib Biwi Aur Gangster, Sanjay Dutt, South Barrington, Telugu, Trailer, Ulagam Sutrum Vaaliban, Warrenville on October 5, 2011 by Kathy. After being delayed for a week, Mausam makes its debut in Chicago area theaters on September 23, 2011. 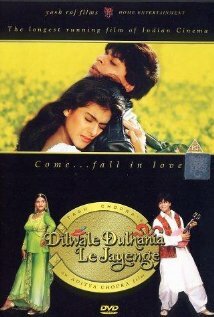 The romantic political drama stars Shahid Kapoor and Sonam Kapoor. Mausam opens on Friday at the Big Cinemas Golf Glen 5 in Niles, AMC South Barrington 30 in South Barrington and Regal Cantera Stadium 17 in Warrenville. Click here for a national theater listing. It has a listed runtime of 2 hrs. 35 min. The great romantic comedy Mere Brother Ki Dulhan enters its third week at all three of the above theaters. Bodyguard gets a fourth week at the South Barrington 30. Note that the Indian-Canadian co-production Breakaway — opening this weekend in India under the title Speedy Singhs — releases internationally on September 30. Other Indian movies showing at the Golf Glen 5 this weekend include Dookudu (Telugu) and Pranayam (Malayalam). This entry was posted in Weekly Theater Updates and tagged 2011, AMC South Barrington 30, Big Cinemas Golf Glen 5, Bodyguard, Bollywood, Breakaway, Chicago, Dookudu, Friday, Hindi, Indian, Malayalam, Mausam, Mere Brother Ki Dulhan, Movie, Niles, Pranayam, Regal Cantera Stadium 17, Runtime, September 23, Shahid Kapoor, Sonam Kapoor, South Barrington, Speedy Singhs, Telugu, Trailer, Warrenville on September 21, 2011 by Kathy. With the release of Mausam pushed back to next week, there are no new Hindi movies opening in the Chicago area this weekend. 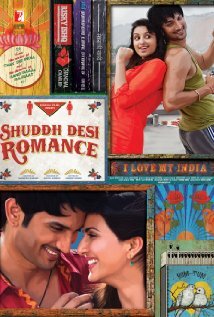 However, there are still a few Bollywood hits lingering in theaters. 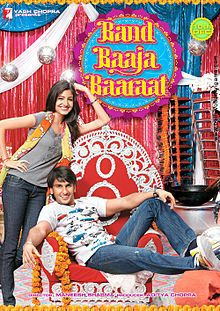 Mere Brother Ki Dulhan debuted last weekend with a respectable haul of $399,429 in U.S. theaters. It gets a second week at the Big Cinemas Golf Glen 5 in Niles, AMC South Barrington 30 in South Barrington and Regal Cantera 17 in Warrenville. All three theaters are carrying over Bodyguard for a third week, and Bol gets a third week at the South Barrington 30 as well. Other Indian films showing at the Golf Glen 5 this weekend include Doctor Love (Malayalam), Mankatha (Tamil) and Vanthaan Vendraan (Tamil). This entry was posted in Weekly Theater Updates and tagged 2011, AMC South Barrington 30, Big Cinemas Golf Glen 5, Bodyguard, Bol, Bollywood, Chicago, Doctor Love, Earnings, Friday, Hindi, Indian, Malayalam, Mankatha, Mausam, Mere Brother Ki Dulhan, Movie, Niles, Regal Cantera Stadium 17, September 16, South Barrington, Tamil, Vanthaan Vendraan, Warrenville on September 15, 2011 by Kathy.